*Finish: Powder coat,Plate,paiting and etc. 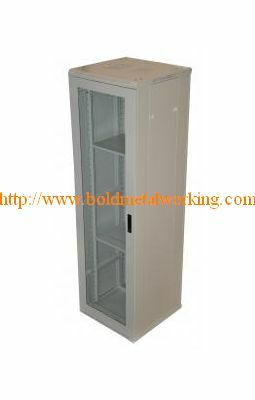 *We can design custom Network Server Rack Cabinets as per your drawings or samples. Ningbo Bold Metal Products Co.,Ltd is manufacturer and service provider of Sheet Metal Work, Sheet Metal Fabrication, Stainless Steel Fabrication, Electronic and Electrical Enclosures, Panel Boards, Machine Components, Machine Guards.